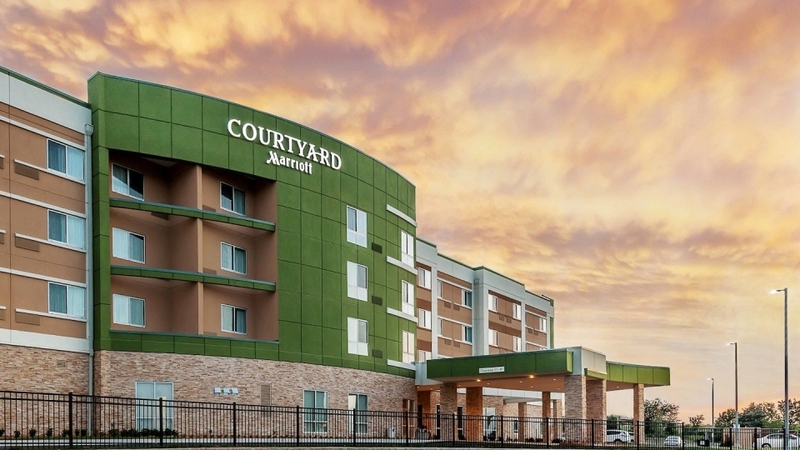 The all-new Courtyard by Marriott Ardmore is your ideal destination, conveniently located midway between Oklahoma City and Dallas on I-35. Our hotel offers easy access to popular attractions including Ardmore Regional Park, Lake Murray State Park, and Turner Falls Park, where nature lovers can marvel over mesmerizing views of breathtaking waterfalls. We feature a great location for professionals as well, being just minutes from Michelin North America, Valero Refinery, and the Ardmore Convention Center. After a day of sightseeing or conducting business, stop by The Bistro to enjoy dinner with your favorite cocktail. Better yet, step outside and enjoy your meal and beverage in our Courtyard with a fire pit and heated outdoor pool. Our restaurant also offers breakfast options and Starbucks® coffee to get your day started on the right foot. When it's time to retire, our rooms and suites boast pillow top mattresses and complimentary Wi-Fi so you'll feel right at home. Maintain your exercise routine at our fitness center before making a splash in our outdoor pool. Whether in town for business or leisure, you'll find comfort and style at Courtyard Ardmore.